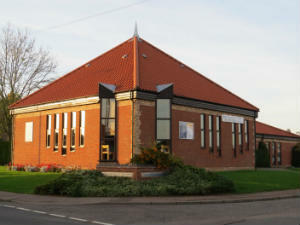 The church was opened in 1989 and is a modern building, in a strategic position in Acle. 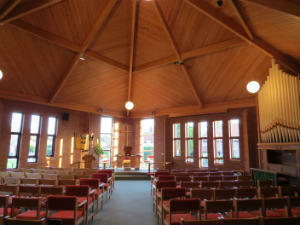 Designed in consultation with local Social Services as a community church. 10:30am Junior Church with creche facilities available during worship. There is no Junior Church on the 1st Sunday of each month, when there is a cafe Church with food and activities for all. A whole range of midweek activities, with many village organisations using the premises most days. Tuesdays Alternate Tuesday morning bible study at 10.30am. Meets in various homes. For more details phone 01493 750275. Wednesdays 7.30pm Housegroup every fortnight with the Bible study group meeting alternate Wednesday evenings at the manse. Thursdays 10am-12 noon Pop-in – the church is open as a meeting place serving tea and coffee. Fridays – 2pm – 4pm Alternate Fridays Craft Afternoon.